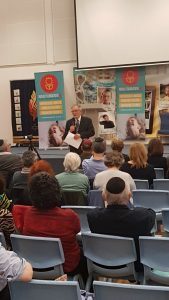 This week, Founder and Chairperson Arnold Roth traveled to Manchester, UK to speak at the King David High School and at the Hamburger Lecture in collaboration with the Zionist Central Council (ZCC). 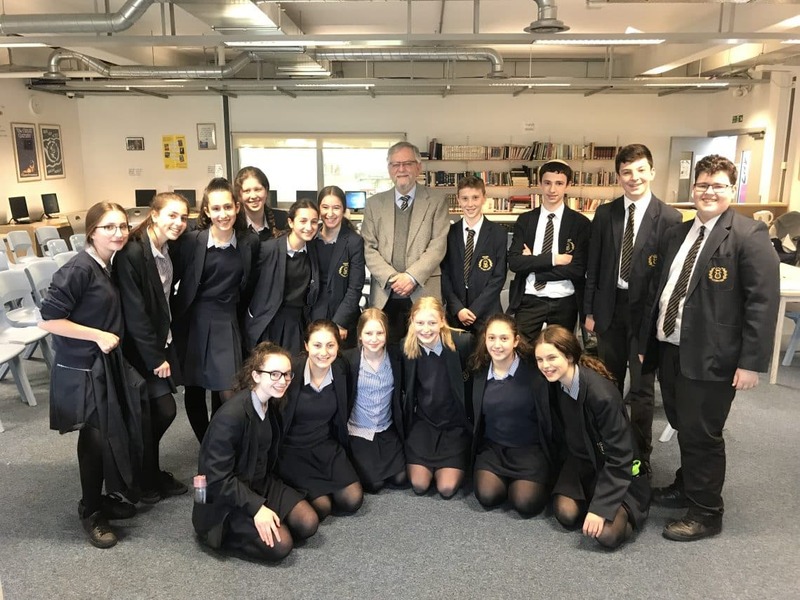 At KDHS he spoke with students from the high school and Yavneh Boys and Girls about Malki’s life of chessed and the Malki Foundation’s, founded in her memory. The students are presently in the middle of a tzedaka project to purchase equipment for the Malki Foundation’s Children’s Equipment Lending Library (CELL), opening at Alyn Children’s hospital in the near future. They have already raised a great amount of money for the cause! Good job! 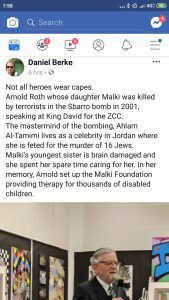 Later that evening, Arnold spoke to 70+ at the ZCC, recounting the Sbarro terror attack and the aftermath, the founding of the Malki Foundation and his fight to have terrorist Ahlam Al Tamimi extradited. Marissa Hamburger spoke eloquently about her Great Grandfather Sidney Hamburger. 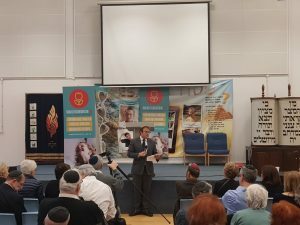 Also involved in the lecture were Daniel Berke (Zionist Central Council chair), Jacky Buchsbaum (chair of Executive Jewish Representative Council), Joy Wolfe (Life President Manchester Zionist Council and Jewish Representative Council), Jeremy Michelson (Vice-Chair Jewish Representative Council). 🙏Thank you to Elaine and Dov Hamburger for hosting Arnold and for their support for the Malki Foundation. 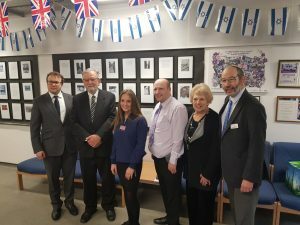 🙏Thank you to Rabbi Jonathan Goodman, Rabbi Chaim Cohen and Chair of Governors Joshua Rowe from KDHS for your hospitality and interest in our cause. We are looking forward to welcoming Rabbi Cohen and his students in Israel in May. 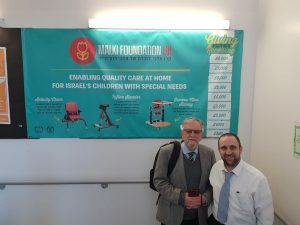 🙏Thank you to Malki Foundation UK Director Rob Taub for making it all happen.